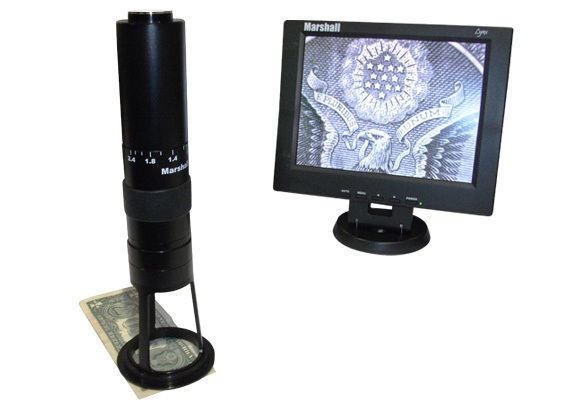 Marshall Electronics Optical Division - V-VML0224A high zoom video microscope lens is perfect for law enforcement, military, security, covert surveillance, and other applications. The V-VML0224A High Zoom Video Microscope Lens offers a high zoom ratio 12 times the maximum field line to 30mm. It is compatible with CS-Mount video cameras for image monitoring or direct visual observation with the included eyepiece. Typical applications include industrial, electronics, food processing, material Quality Assurance, and forensics to analyze large numbers of traces. The V-VML0224A video microscope lens offers greater usage comfort compared to other models. The field of view and high zoom ratio provides the latest advanced video microscope lens technology.